The show, which had its world premiere at the festival this weekend, marks the first series for the international networks group. 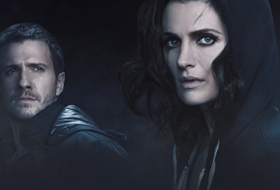 When Sony Pictures Television Networks world premiered Absentia at the Monte Carlo Television Festival over the weekend, it wasn’t just the first episode of the FBI thriller — it was the first show developed by the group that operates branded channels around the world. “This is the first time that we fully developed, fully funded and produced a venture,” said SPTN executive vp production Marie Jacobson. It’s a new strategy for the multichannel networks group, which has been airing American procedurals and dramas on its international networks, including Sony Networks and AXN, for two decades. “Frankly, for us to go and commission our own original content, we really do have to look at new and different ways to make that happen. Absentia is the embodiment of that strategy,” said Jacobson. The show — part thriller and part procedural with a touch of Nordic noir — stars Stana Katic (Castle) as an FBI agent who returns six years after being kidnapped. The show is set to air on the networks group’s AXN channel around the world and Showcase in Canada, and is seeking a U.S. home after debuting to buyers at L.A. Screenings. “We’ve been able to create a show that is produced in a nontraditional manner and that speaks to our flexibility as a studio, our global focus and our ability to be collaborative and smart in terms of the way in which we can leverage the power of the networks group and the power of the distribution group,” said Sony Pictures Television president distribution Keith LeGoy. The studio took an international approach to the series, casting actors from as far away as Uruguay and Mexico. Absentia is produced by Israel’s Masha TV, the team behind Homeland’s Israeli original, and directed by Oded Ruskin (False Flag). It was shot on an indie film schedule over 62 days in Bulgaria (standing in for Boston), a set that Katic says was the most collaborative she’s ever worked on. 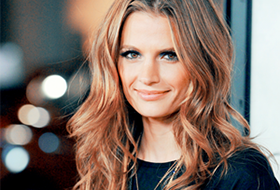 The character was a physical challenge for Katic, who spends several scenes beat up and bloodied, and she also performed most of her own stunts in one of Bulgaria’s coldest winters in years. “The country added value to the story because we had locations that were unusual. They felt like Boston but not entirely, and there is this tone to the country that added to the color and feel of the story, to the thriller and suspense element of it. The untouched natural space that we could get in Bulgaria really created a kind of edginess,” she added. For SPTN, it is doubling down on the new strategy — it already has a second show starring a well-known American actor in the works.